How are you? 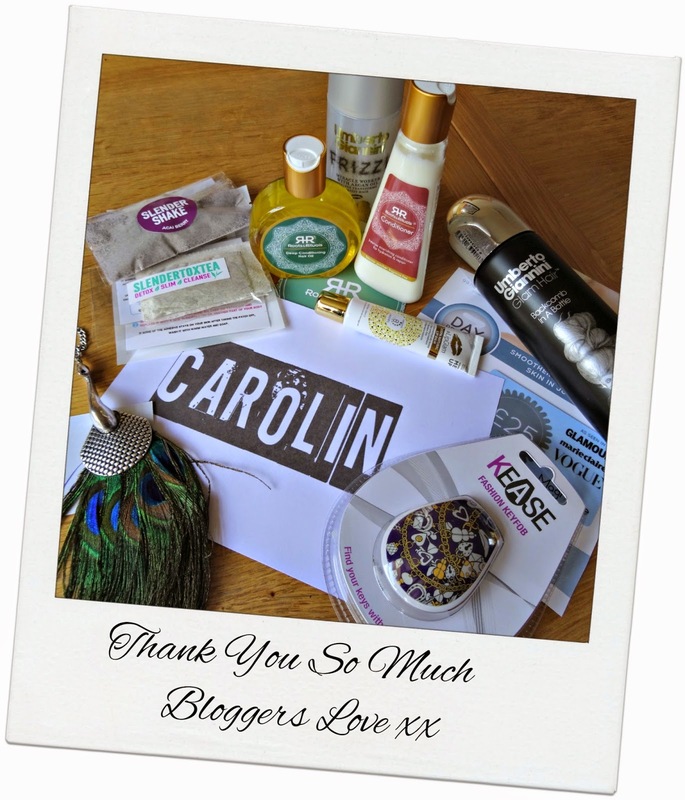 I've been to another blogging event organised by Danielle from Bloggers Love. Despite all the upsetting news and the turn out of their previous Gossip Girl themed meal, I wasn't put off and so I attended their Fashion Week event a few weeks ago. This was my third event with Bloggers Love and instead of just giving you a plain reflection of the event, I thought it might be helpful to show you Do's and Don'ts at a blogging event. Hope you'll enjoy. At my first bloggers love hub event I was so overwhelmed when people - brand representatives as well as fellow bloggers - asked me for my business card. Business sorry what? I felt slightly embarrassed by myself whilst the other blogging ladies pulled out their stunning cards and networked like a pro and I had nothing to show. Ouch! But lesson learnt so the first thing I did when I came back home from the event was to sort out business cards for my blog. It may seem odd and unusual at first when asked for a business card, but it makes perfect sense as blogging is not only your hobby but a powerful PR and marketing tool. The card has the purpose to stay in touch with brands and bloggers. I mean no one will remember yourblog.wordpress.com or yourblog.blogspot.co.uk at the end of a long day filled with chats with hundreds of bloggers. Handing out a card is professional and it is most likely the brand will keep you on their radar or the fellow blogger will give you a follow on your blog/social media. Remember, no matter how big or small your blog is, a business card is worth an investment and will work in your favour when you attend networking events. It is so to say your social media tool in reality, which will help to put you and your blog 'out' there. Not only will it help to keep you in touch with bloggers and brands, it also looks professional. Business cards cost around £15-£20 for 150 cards. Blogging events are first and foremost networking events to meet new faces and to establish and build relationships. The golden rule is interaction, interaction and even more interaction. This is best achieved if you check out beforehand which brands will be there and connect with them on social media accounts. It is polite and very personal, as you show true interest in the brand which they will appreciate. 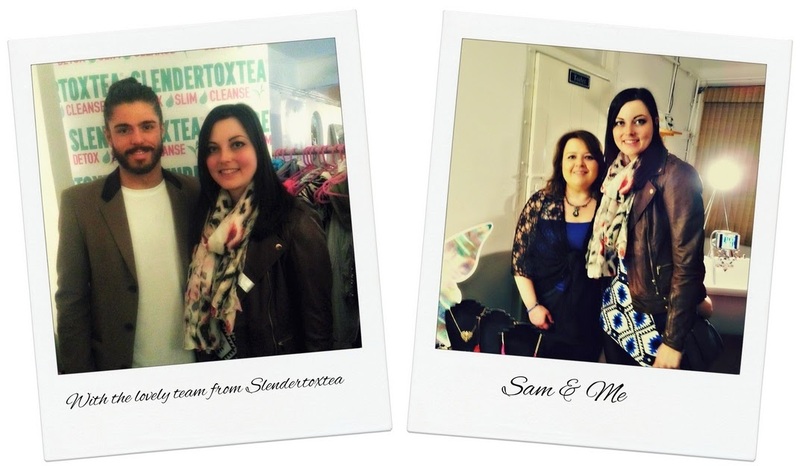 Here you see me with the lovely team of Slendertoxtea (left) and with Sam (right), founder of jewellery brand Iridescence. We connected a year ago via Twitter and also chatted regularly on FB. It was such a pleasure to finally meet her and it was easy to talk to each other, as we kind of felt already personally connected through our social media exchange. I've also connected with bloggers on Twitter and asked directly who will be joining the event. I had a few replies and meet up with Fii at Liverpool Street station. After a refreshing drink and lovely chat, we made our way over to the event. 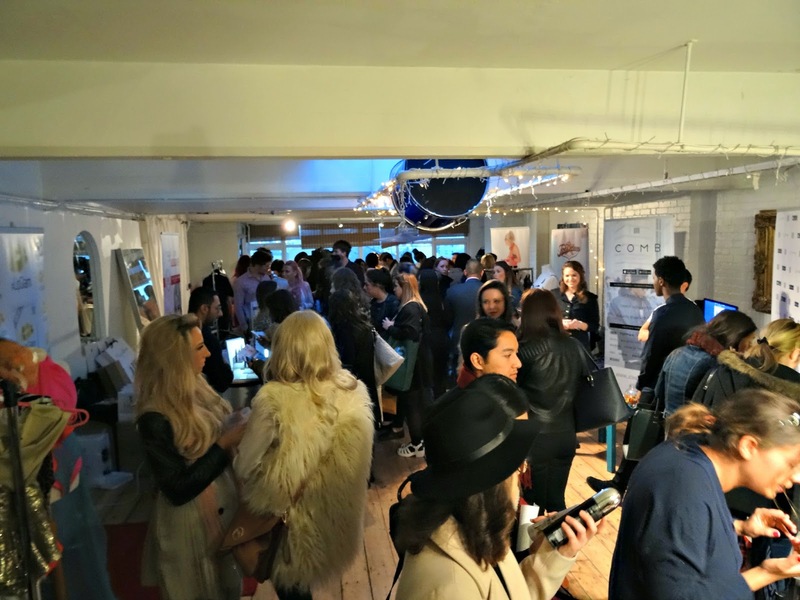 Blogging events are usually crowded and there's little time to chat to each brand individually. Sometimes you'll have to join in a conversation and listen whilst at the same time show interest, ask questions and note everything down for later when you write your post. This multitasking in a busy environment is challenging and I suggest you bring the right equipment along to be prepared for this situation. When you're prepared you automatically transmit confidence which attracts people and will make you feel relaxed, too. To make my life easier at busy blogging events, I bring along my voice recorder, a handy tool that remained from my days as a journalist. It has the benefit that I don't have to write anything down, or keep hundreds of information in my mind. I can ask my questions and record the important information for my post. It allows me to capture the atmosphere which makes it even more helpful when you write up your post as it transfers you back to the situation and you can experience it over and over again. All the blogging events I've been to where crowded and super busy. It is vital to me to remain calm and not focus on the negatives, as it may leave me blocked and frustrated otherwise, which is not the point of a blogging event. Remember, you're here for fun and to make new connections. Another positive side effect is that you'll see a fashion show or meet an interesting brand and its quirky products, e.g. Kease Keyrings from Manchester. I don't want to sound cruel but if the thought of meeting people freaks you out then a blogging event might not be the best place for you. It is a place where people want to connect with fellow bloggers and meet brands face to face. I get sometimes a bit nervous, because most of the time, I've spent all day in London by myself and then suddenly I have to socialise and be chatty. It's a zero to hero situation to me. But instead of restricting myself, I breathe in and try to enjoy every minute of it. From all these events, I've learnt that when you have already the mindset that the event will be awkward, then it definitely will be. This mindset restricts you and won't make you positive or open to new people at all. I make sure to go into the event with a smile and positive attitude which frees me from these restrictions. After all, I'd like to make great connections and others might be just as scared as me. If I show it, then it will create tension and leave awkwardness behind. Be positive and have fun, others will recognise your attitude and feel relaxed around you and have a great time as well. 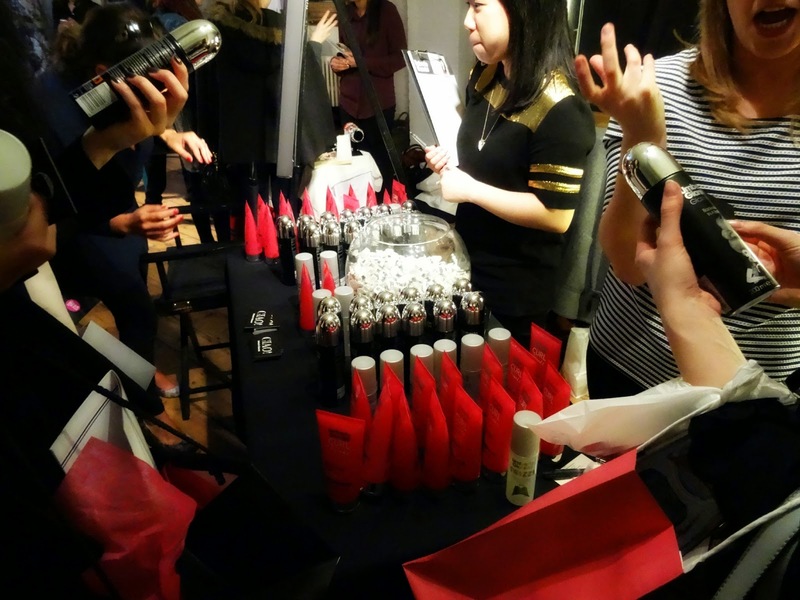 To some people, all that matters when they arrive at a blogging event is to collect as many freebies as possible, regardless of networking or interest in the brands. They literally push you out of the way, ignore you or do not want to interact with you at all. Of course, not all people are like this, but all scenarios happened to me. I mean most bloggers have invested time and money to go to London and I can understand if they don't want to leave empty handed. It is just rude when some people turn up because of the free stuff. Blogging is all about the community and supporting each other. I love talking to people, find out about their amazing blogs and, speaking of brands, I love meeting the creative heads behind a quirky product. Getting free stuff is an added bonus but not necessarily the priority for me. In the future, I'd love to attend a blogger meet up and try out a different networking experience. Thank you so much for reading today's post and I hope you'll be joining me on my next adventure. 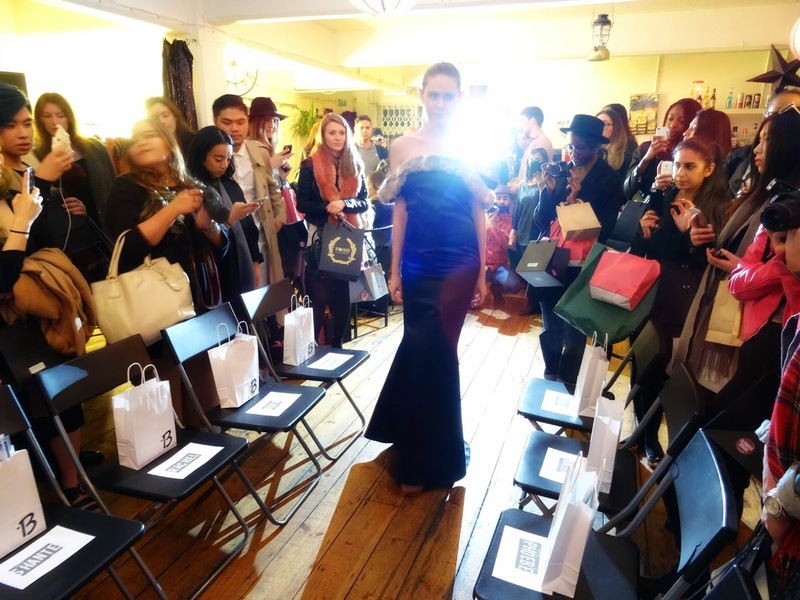 Have you been to a blogging event before? 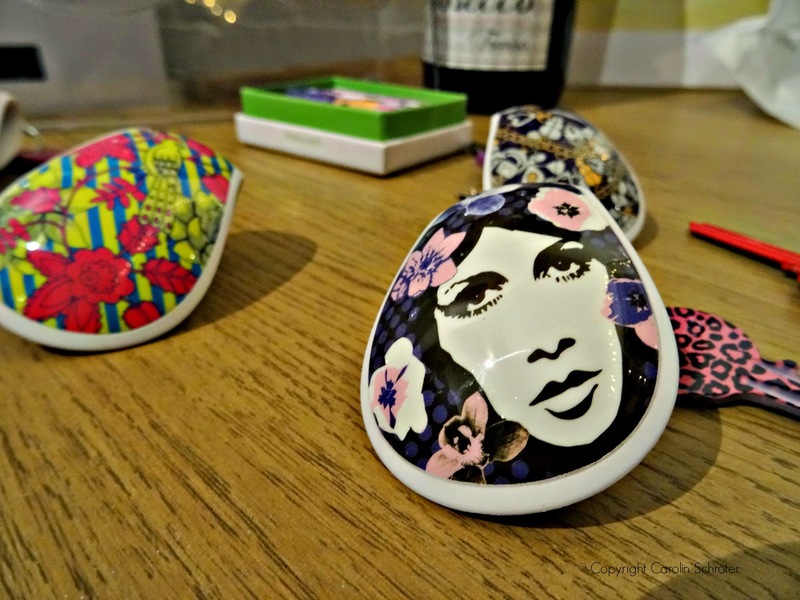 Did you attend any of the Bloggers Love events in London? What was it like? Would you like to add anything to the list?